Citra and Rowan live in a world where all human problems have been eradicated including hunger, disease, and poverty. Science has even made it possible to revive those who have died in accidents so that they can continue living without any complications or injuries. Therefore, in order to curb population growth the governing entity has created scythes whose entire job is to glean, or kill, those they see fit. Scythes are supposed to take their job very seriously and act with honor and compassion to those they glean, but there have been some rising up who seem to enjoy killing people and this has the traditional scythes very concerned. Citra and Rowan are both chosen to be Scythe Faraday’s apprentices which means they will train with him for an entire year, but then only one will be ordained a scythe and the other will return to their regular lives. At the first scythe conclave they go to, however, one of the more progressive scythes challenges Faraday’s choice to take two apprentices and proposes that the one who wins must glean the one who loses and the scythe rulers agree. This puts Citra and Rowan in a tough spot because as they train together they become closer and closer and neither is sure if they could glean the other. Is there a way for them both to exist in this “perfect” world? Shusterman has done it again with this unique and engaging story. The premise seems far fetched and yet the reader is pulled in almost immediately when Scythe Faraday is introduced. All of the characters are well developed and make the reader want to know more about their intentions and motivations, while also watching them react to various plot twists. Recommended for anyone from reluctant reader teens to adults who want something fresh and new. Holly Chase was a wealthy, beautiful, egotistical daughter of a movie director who lived to judge others. Therefore, it shouldn’t have been much of a surprise when she was visited on Christmas Eve by the ghosts of Christmas past, present, and future. Yet, Holly chose not to take this experience seriously and laughed it off as a joke despite the ghosts’ warnings that she would die soon if she didn’t change her ways. Shortly after her disastrous Scrooge experience she is hit by a car and dies. She wakes up in the office of the company who choose the “Scrooge” each year and she is now required to work here to prepare for each Christmas Eve, but then must also act the role of Christmas past. She thinks she’ll be stuck in this existence forever until one year her Scrooge is a teenager just like her, and unfortunately, she can see the similarities between herself and her new Scrooge and for the first time she begins to feel bad about the kind of person she really was when she was alive. Can she save him from the same fate even if she has to break a few rules? Anyone looking for a fun Christmas read should check this one out. Holly is brash, bratty, insensitive, and sympathetic all at once. She’s trying to do better, but doesn’t really know how. The supporting characters are all fun and colorful, but the focus is definitely on Holly and most of the other characters are not as developed. The story itself is fun and the reader wants to root for Holly despite her difficult personality. Recommended. There is an island that is almost totally cut off from the rest of the world where a set of triplets are born every generation. The queen immediately knows what power each of the girls will have and when they are a few years old they are separated so that they can hone their craft. When they come of age they must compete in a bizarre set of rituals in which only the last one alive can become the next queen. Katherine is a poisoner, but she while she has become adept at administering poisons she has not yet become immune to them herself. Arsinoe, the naturalist, has not yet found her familiar, which is like her animal soul mate, but she has been very happy growing up alongside her best friend, Jules, who is a very talented naturalist. Finally, Mirabella, the elementalist, is very gifted and can easily manipulate water and fire. It is expected she will easily take the crown over her weaker sisters, but once the games begin everyone has a few surprises in store for the waiting spectators. Who will end up with the crown? Whom can the sisters really trust in this process? Who will get hurt along the way? This series has received a lot of attention from my students, but it did take me awhile to get into the story and the characters. Once I did become immersed in the characters I not only wanted to finish the first one right away but wanted to read the second one as well. It’s definitely a unique story that does not rely on plot details seen in other fantasy series. There is still a lot that needs to be revealed about these characters, their motivations, and the ultimate outcome which will keep readers engaged for a long time to come. 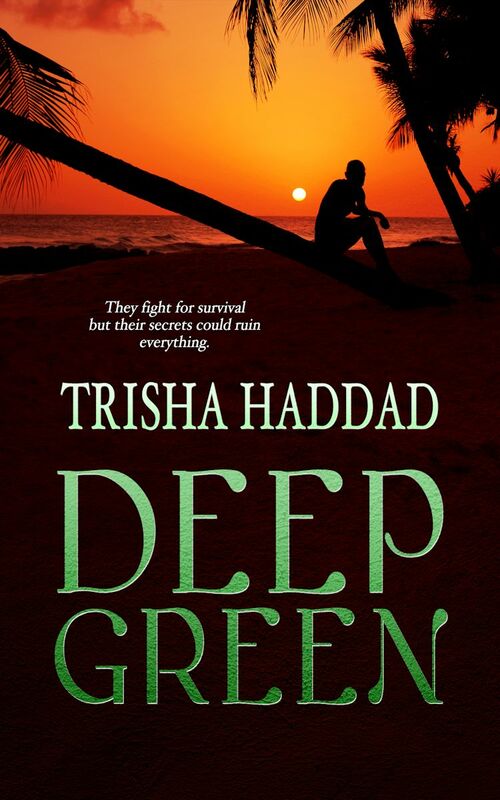 Tagline: They fight for survival, but their secrets could ruin everything. Leah Taylor prefers the quiet adventure and romance of books, but during a cruise with her parents, a terrorist attack leaves her adrift in a lifeboat with strangers. University student, Blue McCree impresses her immediately with his knowledge of literature and philosophy. Equally thrilling is strong, quiet Musir. While he is slow to speak, translating his thoughts from Arabic to English, his chivalry and wisdom capture Leah’s curiosity. Together they face danger after danger as they fight for survival. Leah also struggles with the growing attention from the men she’s stranded with, and her mixed emotions toward them. When Leah learns the dark secrets her fellow survivors hold, the truth will blow apart any semblance of civility and test Leah’s preconceived notions of just how far dedication can go before it crosses over into fanaticism. I could have sworn it was silent all over the ship in that moment. The ocean stood still, the wind slowed, and the other passengers walked silently. It must have been so. I certainly couldn’t register a sound. It was as though the world awaited his voice and words. Then I began to feel awkward when they did not come. Here I was, staring like a love-struck fool into the eyes of a guy I never met before. I tended to fall in love with characters in books. Most guys I went to school with were far too interested in sports or video games. How could they ever hope to hold a candle to Mister Darcy’s intensity, Tom Joad’s ethics, Martin Eden’s passion, Caleb Trask’s struggle for goodness, or Edmond Dantes’ cunning intellect? No real boy ever sparked in me the passion these fictional characters did; until now. Yet, I didn’t know a thing about him. Did he have a strong sense of justice? Did he thirst for knowledge? Was he a romantic to the core? Did art touch his very soul? I had no idea. All I knew was that his gaze bore into the essence of me. I could read in it something deeper than I saw before in anyone’s eyes. It was a sort of sadness, like he carried with him all the sorrows of the world. I had to know if there was more than his beauty. Surely I couldn’t feel how I did if he weren’t passionate, if he lacked depth? It simply wasn’t possible. Jake Fisher thought he met the girl of his dreams while he was away trying to write his dissertation. They had a wonderful summer together and he believed they would spend their lives together. Then, one day she announces that she is going back to her old boyfriend and a few days later Jake receives a wedding invitation to her wedding. He cannot believe this is happening and has to see it with his own eyes. When he goes to the wedding she makes him promise not to bother her or her husband ever again. He promises and does nothing for six years, but then one day he sees the obituary for the man he saw Natalie marry. He decides to go to the funeral and does not see Natalie as the grieving widow, but instead sees a woman who has been married to this man for many years and they have two teenage kids together. Where is Natalie? Why was her husband married to someone else? Coben has done it again with this exciting mystery. Jake’s journey takes off immediately after learning that Natalie’s husband is dead. The more he investigates and looks for her, however, the more dead ends and questions he has. No one seems to know where Natalie is and some people do not seem to believe she existed in the first place. 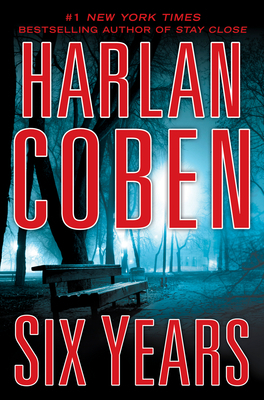 The story twists and turns like all of Coben’s best mysteries do and the ending is full of surprises that will satisfy mystery fans.